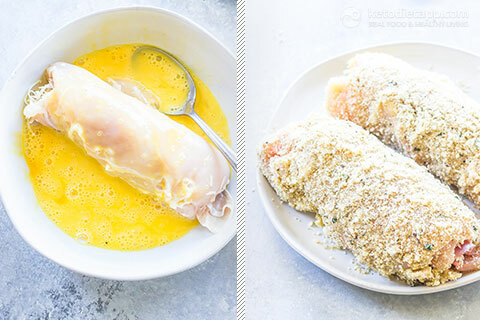 This keto Chicken Cordon Bleu is super easy and super flavorful. 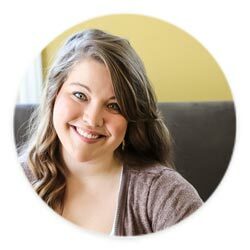 You’ll start by stuffing butterflied chicken breasts with prosciutto and gruyere cheese then breading them in a breadcrumb mixture made with parmesan cheese and pork rinds. You can also sub out regular deli ham for prosciutto if that’s what you have on hand, another melty cheese like mozzarella will also work in place of the gruyere. 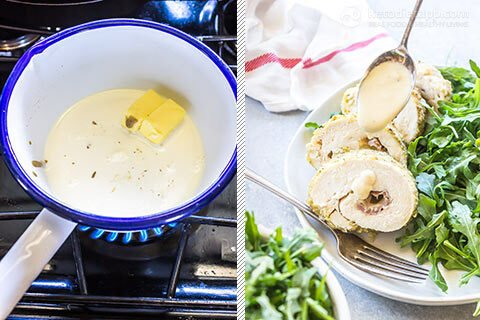 For the creamy sauce, just 3 ingredients is all you need: butter, Dijon, and heavy cream. 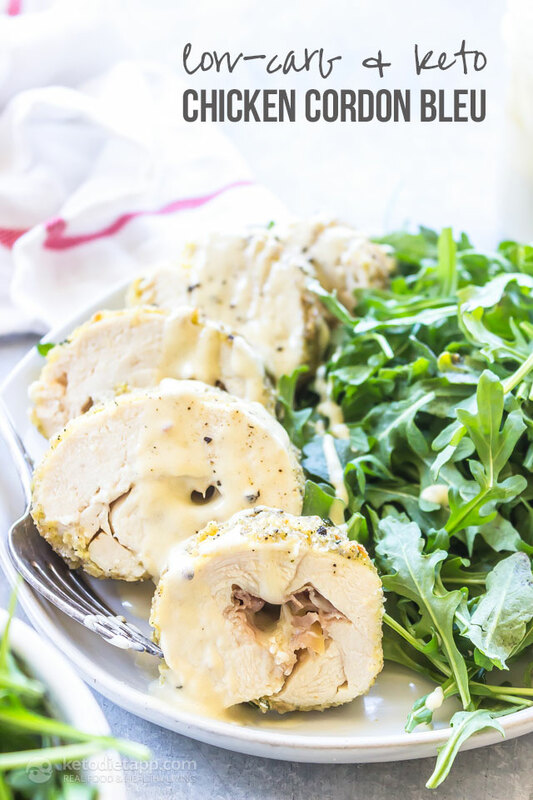 This creates the perfect low-carb topping for the chicken! Serve this up with some keto focaccia and a big side salad for a complete meal. Preheat oven to 175 °C/ 350 °F. 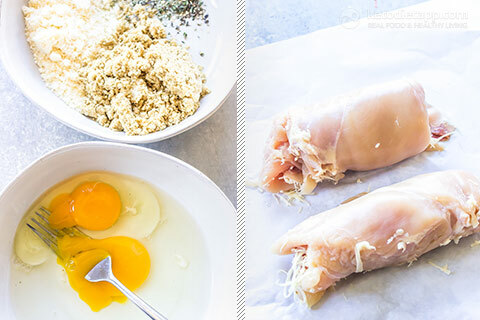 Place a piece of parchment paper under the chicken, and then butterfly the chicken breast so that it lays open like a book. Place a piece of plastic wrap or parchment paper over the top and flatten with a meat mallet or heavy bottomed pan. The chicken should be about 6 mm/ 1/4 inch thick. 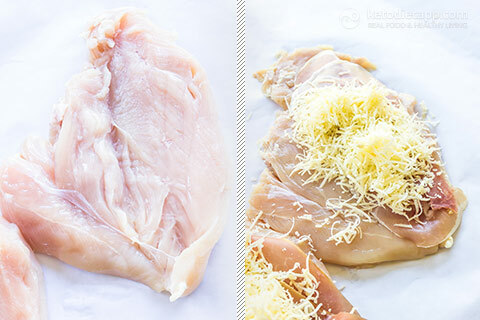 Top each chicken breast with 2 slices of prosciutto and about half of the grated gruyere cheese. Roll up into a tight log using the plastic wrap as a guide. Beat the eggs in a bowl, in another bowl combine the pork rind dust, parmesan cheese, garlic salt, thyme, and pepper. Unwrap each chicken roll and dip into the egg then dredge through the pork rind & parmesan mixture. Place on a baking sheet and drizzle with the olive oil or spray liberally with olive oil spray. Bake for about 25 minutes until cooked through and the internal temperature of the chicken is 75 °C/ 165 °F. For the sauce simply combine the ingredients in a small pot over medium low heat and bring to a simmer until the cream has reduced by half. 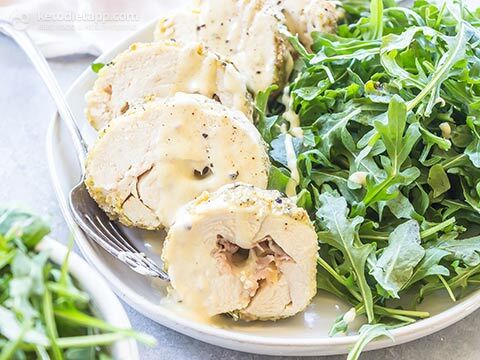 To serve, slice the chicken into rounds and drizzle with the sauce. 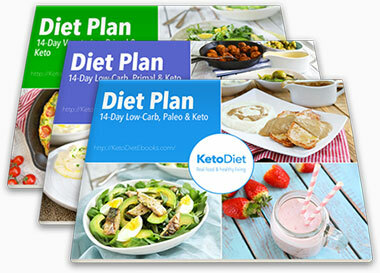 Store any leftovers in the refrigerator for up to 5 days. Reheat in the oven at 175 °C/ 350 °F for about 10 minutes. I tried this last night and it was incredible! All the ingredients were already in my cabinet so I gave it a shot. The only problem was I made 2 servings and had to eat both since it was so good. I went a little over my daily calorie count, but worth it. I could easily do that too! I think it depends on how many meals you have per day. I usually have just two so a bigger serving is ideal.